Get to know the people who are here to help you plan for your career! Visit our staff page. We are here to help you with your career planning needs, and we have a variety of in-person and online services available. Our in-person services include individual career counseling and job search advising appointments, career assessments, workshops, networking events, and on-campus recruiting opportunities. Our online services include Handshake, virtual workshops, career information databases, and other online career planning tools. We can help you with just about anything related to planning for your career, including career and major exploration, creating a career preparation plan, searching for internships, searching for any type of job, networking strategies, personal branding, your online presence, LinkedIn, resumes, cover letters, and interviewing. You can schedule an appointment online, or call us at (208) 426-1747. Are your services available to distance students? Yes! We offer an entire Virtual Career Center designed to assist you in your career planning needs at your convenience. Additionally, individual appointments can be done via email, phone, or video. How do I access my Handshake account? Follow the instructions to log in to Handshake here. If you’re a current student, you already have a Handshake account and will log in with your Boise State credentials. If you’re an alumni, you will need to create an account. If I need help choosing a major, should I contact the Career Center or the Advising and Academic Support Center? Both offices can assist in your major selection. Which office you should visit for one-on-one assistance depends upon what you need. If you have questions about classes, degree plans, or the academic experience of a major, an academic advisor at the Advising and Academic Support Center will be best equipped to help you. If you need help assessing your interests, abilities, or work values, identifying and researching available career paths, or planning for a career, a career counselor at the Career Center will be best equipped to help you. I’m trying to access the Sigi3 career assessment, but it says I need to contact the Career Center. Career assessments are used as part of the career counseling process, so in order to access the assessment, you’ll need to schedule an appointment with a career counselor. Your career counselor will help you determine what assessment is appropriate to meet your needs, discuss goals and objectives for completing the assessment, and review the results with you. I already graduated; can I still use the Career Center? Yes! Boise State is committed to your lifelong career success. Visit our Services for Alumni page for more information. As a successful alumni, I want to help mentor current Boise State students. How can I do this? Join BroncoLink, Boise State’s new career and professional mentoring program. You can post a job to Handshake by following the instructions found here. What types of jobs can I post? You may post jobs that pay an hourly wage or salary, as well as internships. If the pay for your position is based solely on commission, request a “Commission Only” form from the Career Center for us to determine if it meets our criteria for listing. The Career Center does not post positions where the student must pay for a product to sell. Typically the Career Center does not post for staffing agencies, but if there is an urgent need, please contact the Career Center to see if it can be posted. Is there a charge to post a job? There is no charge to post a position on Handshake. I’m interested in having students work on projects for my organization. What are my options? Contact Hank Ebert, our Experiential Learning Employer Relations Representative, who will discuss with you your needs and options. I want to increase awareness of my organization on campus. How can I do that? Contact Vickie Coale, Associate Director of Employer Relations to discuss options. What services do you provide for faculty and staff? We are here to support you in the work you’re doing to prepare your students for meaningful employment. We provide curriculum, materials, and electronic resources you can use in classes, advising, and programming. We also serve as career education consultants and can advise and assist you in any of your initiatives related to career planning. For more information and links to resources, see our Faculty/Staff Resources page. I want someone from the Career Center to come speak to my class or student group. How do I set this up? Use our Staff Directory page to find the Career Center liaison to your college or program. If you are unsure of who to contact, contact the Career Center at career@boisestate.edu. Are your services available to community members? 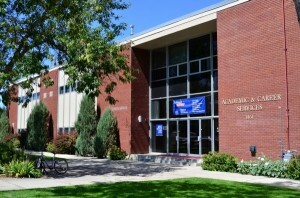 Our in-person services are only available to Boise State students and alumni. However, you are welcome to use any of the electronic resources in our Virtual Career Center that do not require a login.